The use of lipopolysaccharide (LPS)-binding protein (LBP) to treat Type 2 Diabetes Mellitus (T2DM) by reducing hypercoagulation (exaggerated blood clotting) commonly associated with this disease. 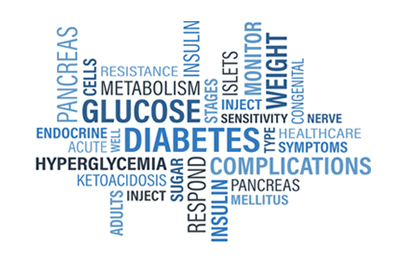 The researchers responsible for the development of this innovation have recently shown that there is a bacterial component involved in the aetiology of Type 2 Diabetes Mellitus. Multiple research studies have shown that the pyrogenic bacterial wall component, LPS (from the outer membrane of gram negative bacteria) is a potent inflammagen (elicits an inflammatory response) that causes hypercoagulation in a multitude of inflammatory conditions. LBP naturally occurs in the human body, and in diseases such as T2DM, the production of LBP is reduced. Consequently, in the context of systemic inflammation, excess LPS cannot be bound and cleared to a sufficient degree, resulting in a hypercoagulable state. This innovation proposes the use of LBP to treat hypercoagualation in inflammatory conditions such as T2DM. Inflammation contributes to the development of T2DM. Hypercoagulation is an important hallmark of inflammation, and reduction of this exaggerated clotting of blood, through the use of LBP, has the potential to limit the development of various comorbidities (cardiovascular complications; pulmonary embolism; thrombotic ischemic stroke, etc.) in patients afflicted with T2DM. Additionally this technology can be used to prevent/reduce chronic, systemic hypercoagulation which ultimately results in the impairment of microcirculation and vascular disease. This innovation provides a limited, non-invasive treatment option for hypercoagulation associated with conditions, such as T2DM, that are inflammatory in nature. Type 2 diabetes mellitus has a massive impact on global health through its contribution to cardiovascular disease and mortality, and in 2011 the International Diabetes Federation suggested that each year 5 million deaths are directly attributable to T2DM, which is a greater burden than HIV/AIDS, tuberculosis and malaria combined. Our researchers have recently shown that LBP has the potential to reverse hypercoagulation in T2DM, amongst other conditions. Using scanning electron microscopy (SEM) and confocal microscopy, the researchers showed that plateletpoor- plasma from subjects with T2DMhad a much greater propensity for hypercoagulation and for amyloidogenesis, and that these could both be reversed by LBP treatment. These data demonstrate that T2DM can be treated by administering LBP to patients suffering from this disease. A PCT application, with application number PCT/IB2017/056115, has been filed for this innovation.